Longtime readers may remember a gentleman by the name of Orions Lord. One of the first Agents of the New Order, he had a passion for can-flipping. One of his kills was none other than Capt Lynch, who was caught by chance in a can-flipping trap, sparking an epic saga. Orions Lord is still around. 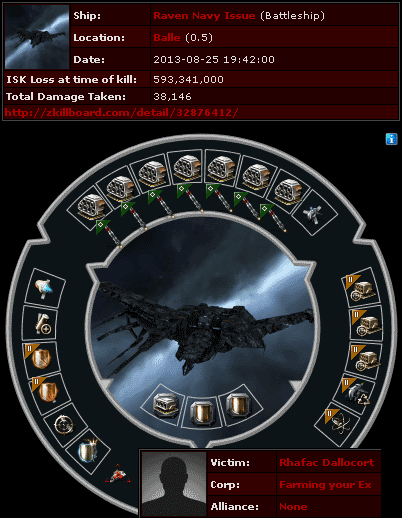 Rhafac Dallocort lost nearly 600 million isk when he somehow allowed Orions to kill his Raven Navy Issue in highsec. Back to square one, Rhafac had no choice but to return to a life of mining in a questionably-fit Retriever. As luck would have it, he was ganked again, by Agents Selina Dyle and Lydia vanPersie, only a few hours later. Guess what kind of a mood Rhafac was in when Selina sent him a standard post-gank EVEmail letting him know about the importance of following the Code? Rhafac was in a foul mood. There was no reason to take this out on Selina, but Rhafac did anyway. In his anger, he unwittingly confessed his crime of AFK mining. Consummate professional that she is, Selina ignored Rhafac's rudeness and gave him more good advice. 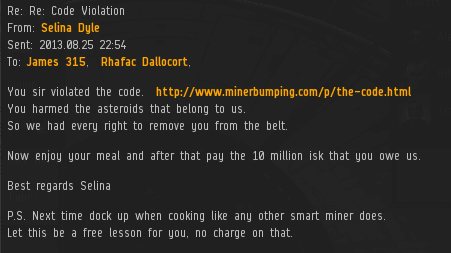 Miners, when you're in my asteroid belts, that's not the time for you to be preparing dinner. Do that on your own time, please. Rhafac was utterly confused. For some reason, he thought the Code violation he was being accused of was bumping miners, presumably because he just glanced at the MinerBumping URL. It's my belief that he was distracted by his hunger. That's why I always recommend miners dock up whenever they start to lose focus. If you're playing a video game, 100% of your attention should be directed toward playing the game. Once you've taken care of whatever needs taking care of, you can return to the asteroid belt. A good miner is only hungry for the Code. 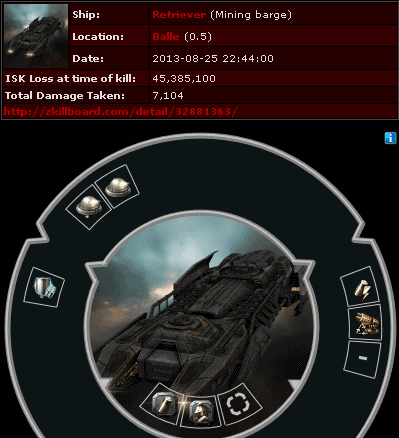 If the afk miners willing to accept the code, then the manic miners are willing to replace his mining vessel. And show that following he code is worth it. Ophidia black etc will confirm that this is a genuine offer. Or James 315 can mail Leia Jadesol to confirm the offer.